Coins 265 Mn. 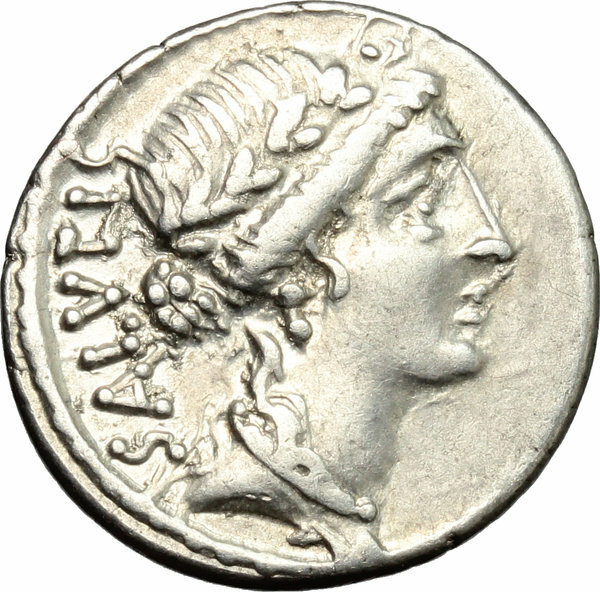 Acilius. 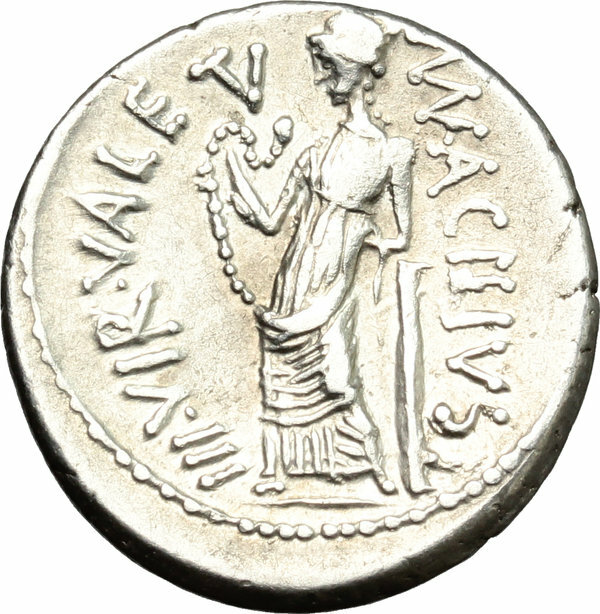 AR Denarius, 49 BC. D/ Head of Salus right, laureate. R/ Valetudo standing left; holding snake and resting on column. Cr. 442/1a. AR. g. 3.78 mm. 19.00 VF.